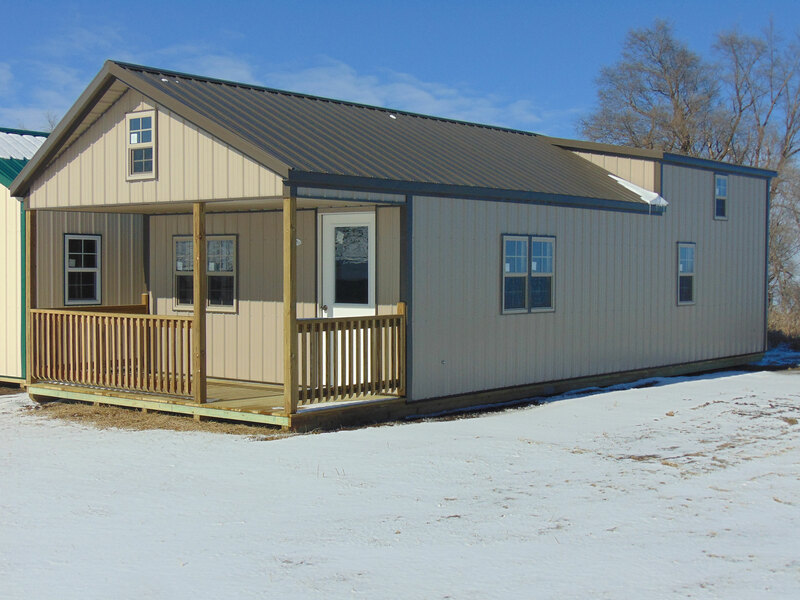 Our Carter Cabin begins with the same design as the Deluxe Cabin with raised sidewalls in the back for a more spacious loft. Although a person is not able to fully stand up in the loft, it makes for great sleeping or storage quarters. Finish Your 6′ Sitting Porch By Adding A Wooden Railing! With or without a wooden railing your porch adds quality, beauty and dimension to your Carter Cabin. Your 6′ porch does not add any length to your building. FOR EXAMPLE: If you purchased a 15′ x 40′ Carter Cabin your indoor cabin area would be 15′ x 34′ + a 6′ useable loft over your porch. A 6′ covered porch is under your front loft.